Cats owners often claim that taking care of a cat is easier than taking care of a dog, but these pet owners don’t point out that cats are finicky creatures. Indoor/outdoor cats will often use the restroom outside, but indoor only cats need clean litter boxes. Experts generally recommend that you clean your box every day, and if you have multiple cats, you need more than one box in your home. Using clumping litter makes cleaning a little easier, and clumping litter often masks odors better than non-clumping litter. When times get away from you, you don’t always have time to clean the boxes properly. 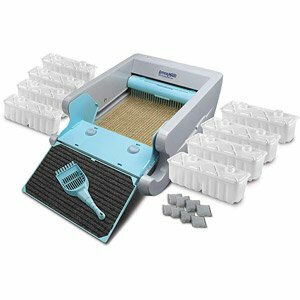 With the Littermaid self-cleaning cat box, you’ll never worry that your cats won’t use the box again. Littermaid offers three different types of self-cleaning litter boxes: Elite, Classic and a smaller version of the Classic. The original Classic version is perfect for homes with two or more cats and for homes with larger cats. Its wide base and larger designs helps kitty reach the litter without climbing over any uncomfortable spots, and the wider base holds the cat’s entire body. The newer version of the classic has a smaller shape and design, and it also features a small step that wipes off your cat’s paws to keep litter from dropping on the floor. The Elite version comes with the same large size as the original Classic and the same step design, but it also comes with an air cleaner that keeps odors at bay. You only need the litter box and clumping cat litter, but the company offers some other accessories too. You can choose between two different hoods that completely cover the top of the box, letting your cat use the restroom in privacy. Many cats will only use a covered litter box. The company also sells cat litter mats that fit underneath the box, and this mat keeps litter from reaching your clean floors. You can also buy new filters and replacement receptacles that hold the dirty litter. The cost ranges from approximately $114 for the original Classic version to $170 for the new Classic. The Elite version is the middle of the road version from the company with a price tag of $140. Amazon shoppers rated the Littermaid cat boxes three stars out of five, and other online reviews seem to mimic those same reviews. While pet owners love some of the features, they find fault with others. Many like that it has taller walls surrounding the box, because these walls stop kitty from throwing litter over the side. They also like that they can use batteries inside or use AC power, and they enjoy the freedom that the box gives them from daily cleaning. The Classic version is perfect for cats of 15 pounds or less. The high sides keep larger cats from pushing litter on the floor, and the wider base fits their larger bodies comfortably. According to the manufacturer, the Elite version can easily accommodate cats weighing more than 15 pounds. Reviewers also love that it doesn’t require daily cleaning. This self-cleaning box features a receptacle in the back and a rake that moves across the top. Its internal sensor notes when a cat uses the box, and the rake slowly moves across the top, pushing the dirty litter into the receptacle. If your cat uses the box more frequently, you might find yourself emptying the receptacle every day, but most cat owners find that they only need to clean the receptacle twice a week. Some reviews do note that it doesn’t always remove all the dirty litter from the box. The box comes with a scoop, and you should use this scoop regularly, removing any dirty litter the rake didn’t capture. You might find that you need to clean the box on your own when the rake doesn’t do its job. As long as you don’t have a problem checking the box once a day and removing any litter clumped on the top of the receptacle, you’ll love using this self-cleaning litter box. Using this box is more expensive than using an ordinary cat litter pan. While the company claims that it works with any type of fine clumping litter, it also recommends that you use its own brand of litter, which can cost up to $15 for a seven pound bag. You can find regular clumping litter at the grocery store priced at $15 or less for a 35 pound box. Many users find that ordinary clumping litter works just as well in this box. Despite some complaints, the self-cleaning litter unit really does work effectively. Once you fill the receptacle, you can use the box for up to one week if you have only one cat, but if you have a home with multiple cats, you need to change the litter every three days. It also comes with odor eliminating pads that fit inside the receptacle and prevent odors from feces and urine from reaching your home. 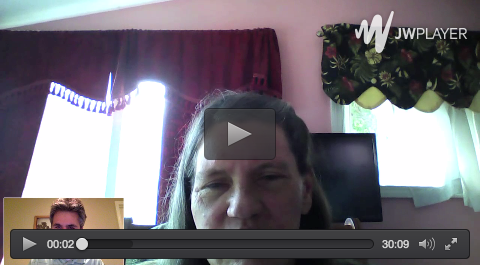 The company even offers some tips to help you introduce your cat to the new environment. The scent of cat litter naturally attracts the attention of any cat, and most kittens learn to use a litter box even if the mother cat doesn’t teach them this trait. Your cat might have a few problems adjusting to the scent of new litter or the size of the box. Make sure that you place the unit in the same location as the last box, and if you use the company’s litter, sprinkle a small amount of your original litter over the top. As your cat grows accustomed to the box, you can increase the amount of Littermaid litter that you use and reduce the amount of your old litter. 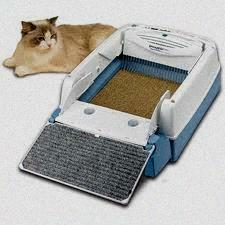 Though this litter box has a few flaws, it works effectively as a replacement litter box for any home.